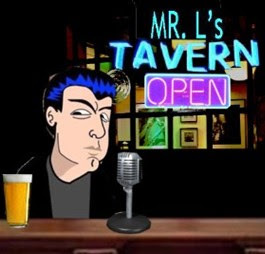 Mr.L's Tavern: MR.L's TAVERN 17: ELECTION OF "ISMS"
TOPICS: AMERICAN IDOL IS FIXED. BALL OF CONFUSION: STILL RELEVANT TODAY. COMPARING McCAIN/REV. HAGEE to OBAMA/REV. WRIGHT? I DON’T THINK SO. HILLARY WILL NOT BRING DOWN OPEC. EXPOSING A NEW “NATURAL” DRUG TARGETED AT YOUTH. In this show, I expressed my dislike for Bill O'Reilly. It wasn't always this way. Recently, I feel that he's become too lenient on some issues. A little too wishy/washy. And a little too soft. And if you watched his interview w/ Hillary Clinton. Also, he tends to have a "I'm Bill O'Reilly and you're not" manner about him. On occasion, he's even gone so far as to declare Michael Savage and Mark Levin "far right winged kooks". So with that said I thought to include this video sent to me this morning by a friend. It's fair and balanced. You decide.